This title features 24 delightful countdown calendar projects to make your favourite occasions even more special. Make your favourite occasions even more special. Today's top designers share their ideas and techniques on how to commemorate life's special events. Equal parts inspiration and how-to, this collection of custom-crafted countdown calendars is packed with creative ways to say '3...2...1...it's here'! It features 24 original projects for celebrating everything from Christmas to the first day of school, and even a new baby. Countdown Calendars also includes expert advice on sewing and embellishing techniques. Show your pride in our troops every day! All members of the Armed Forces have to buy multiple uniforms, some of which become decommissioned. Learn how to recycle these uniforms and blend in some cheerful, contemporary fabrics to create useful family treasures with one-of-a-kind style. Even if you don't have a service member in your life, you can make these cool projects using camouflage fabrics or uniforms purchased from surplus stores. Tips to create a camouflage diaper bag. Instructions to make a canvas wall quote ~ "Where you go, I will go... and where you stay...I will stay," Ruth 1:16. Back to School Let's Go! backpack pattern and tutorial ~ substitute camo material. Video tutorial to make a deployment journal from a military uniform. A tutorial to highlight the places that are special to you. How to create a pendant made with scraps from a fallen Soldier's uniform. Instructions to make a laptop sleeve from military fabrics. Create your own Patriotic/Military Tribute Photo Frame with this tutorial. Land of the Free Because of the Brave. Tutorial to make a Military Uniform Gun Case. Tutorial to make a Military Uniform Overnight Bag. Tutorial to make a Military Uniform Tote. 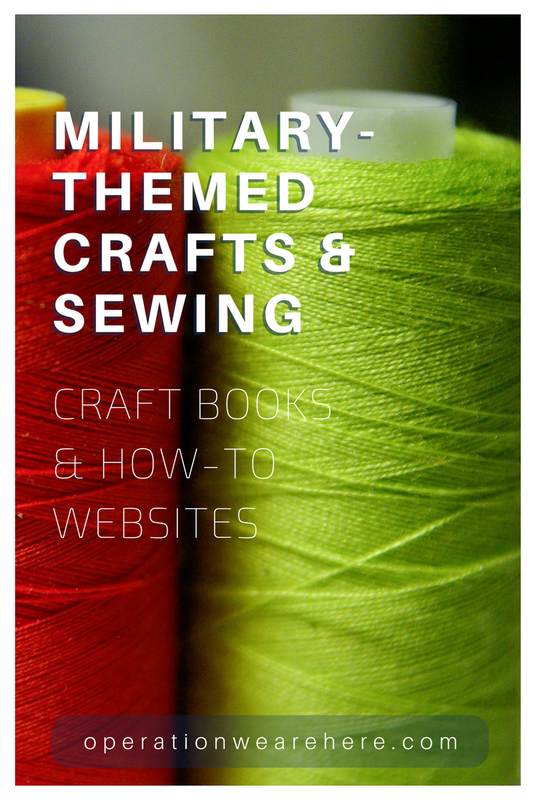 How to make a fabric wreath using military uniforms. How to make a military nametape bracelet. Instructions to make your own paracord nametape bracelet. Create a shadowbox coffee table with family military history. Tutorial to make a Rag Quilt out of military uniforms. Instructions to make patriotic wall art with chevron. A tutorial for easy, patriotic typographic artwork. Tutorial to make your own Places We've Lived memory boards. Create rings with brass or silver military buttons. Sells patterns for recycled military uniforms. Also sells kits for recycled military uniform projects.